Post With No Name - Nekaro & Co.
"Oooo! I should blog about this." Occasionally I actually DO blog about it. But mostly I just do my thing around the house. Lately my thing has been trying to catch up on my book goal for the year. Somehow I've managed to make my way to only being one book behind. I'll read one more book this month and only have to read three in both November and December. I'm determined to reach this damn goal. When I'm not reading (or doing general Mom duties) I've been really working on my knitting. Mostly everything I do right now is for either my daughter or my friend's incubating kicky girl. I really enjoy knitting. It is only occasionally frustrating when I come across a pattern with stitches or things I've never done or things I'm not sure how to do. I've only been at it for about 9 months, but I'm proud of my progress. The only problem I have is that I get so excited to see the final product that sometimes I get in too much of a hurry. That's just who I am though. I do that with every project. I have to stop and tell myself to slow down. 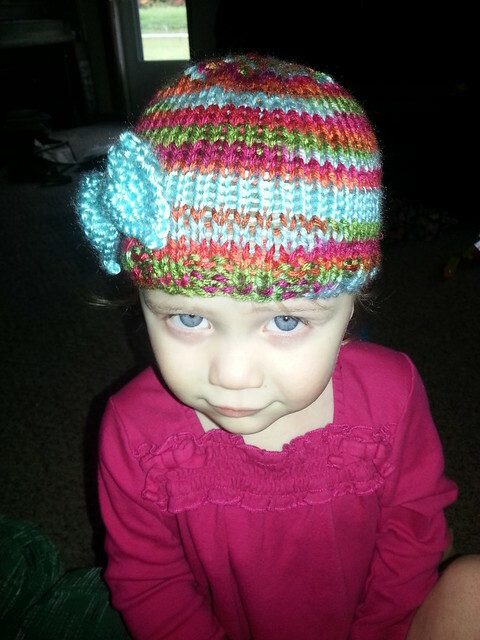 The goal here is to begin selling handmade with love in the stitches baby/toddler items. Fingers crossed. And it wouldn't hurt if you crossed yours too! Thanks in advance. Free Baby Bow Hat pattern found here. 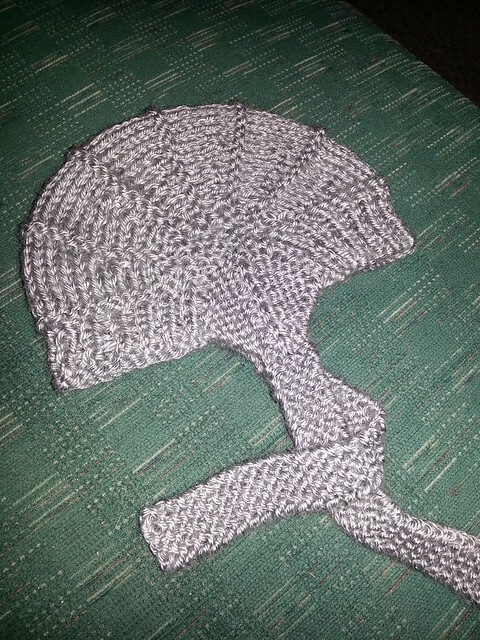 Free Aviatrix pattern found here. 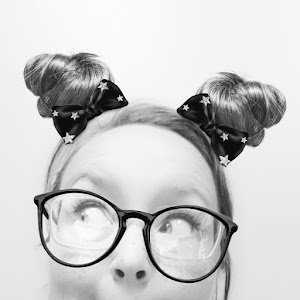 Also this week, I've made a couple of bloggy changes. I've added a Pinterest mouse over element to the images here and made the decision to stop putting the watermark over photos. I know there is great debate about watermarking and image stealing. I'm still on the fence, but what a pain it is. I've always had a statement at the bottom of my blog stating that all images are copyrighted and are not to be used without permission. So please ask first. And just because I haven't put enough gobbledee gook in this one post... I've always gotten distracted by all the shiny things. Blogger, Wordpress, Tumblr, etc. All have shiny things that are attractive. None of them have them all. I'd just like to throw out there than I also have a Tumblr. It's mostly my Instagram photos in bloggy form. I've been working on trying to integrate these blog posts over there too. So if'n you feel the need, you can follow over there. Last, but not least, it's the weekend y'all! Happy Friday!